"Aww, can we keep him?" your tiny tots ask as they point to a puppy Pitbull. If you're a parent, your first question may very likely be, "Will this breed be safe around my kids?" It depends on whom you ask. Many owners of so-called "vicious" dog breeds such as the Pitbull would say yes, on the condition that it is well-bred and properly trained. On the other hand, detractors would say that although it's true dogs have distinct dispositions, certain breeds still share similar, instinctual traits. So while dogs like Beagles are considered kid-friendly, others like the Pitbull (which contributed to 51 percent of dog-bite injuries as per a five-year review of the Children's Hospital of Philadelphia) have a reputation of being dangerous to have around children. So which contentious dog breeds are actually kid-friendly? We've all heard the horror stories. Between 1979 and 1996, Rottweilers, along with Pitbulls and Great Danes, were predominantly responsible for more than 300 dog bite-related fatalities. As you can see, Rottweilers are not exactly media darlings and are generally deemed unsuitable for families with children. But many Rottweiler admirers say that this negative perception is undeserved. Some even argue that these vicious incidents occur at the hands of inexperienced or irresponsible dog owners. 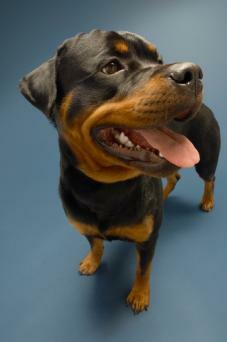 Rottweiler advocates add that the disparaging statistics can be misleading. All dogs have the propensity to attack if provoked, but since Rottweilers have injurious bites, they are more likely to get press. 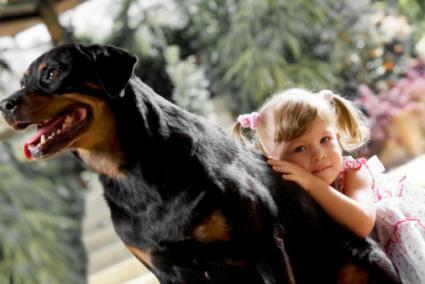 If you want to bring a Rottweiler around your kids, enthusiasts recommend adopting one from a reputable, ethical breeder who has socialized Rottweilers with tame temperaments. You should also educate your kids on how to behave around a Rottweiler. This includes not wrestling with the dog, resisting the temptation to jolt it awake while it's sleeping, and abstaining from loud shrieking that may confuse the dog into thinking someone is hurt. Bullmastiffs are incredible guardians of the home. They won't let anyone mess with their loved ones! But are they suitable for families with young children? Some would say no, because of their overprotective nature. A Bullmastiff may see your tiny tots roughhousing with their playmates and mistakenly assume that your children are in trouble. 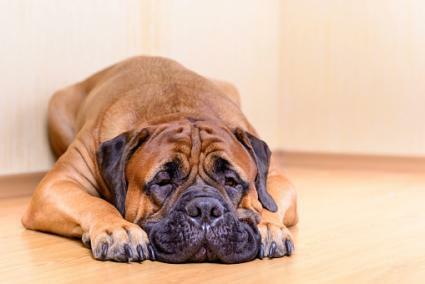 Your docile Bullmastiff might turn into a snarling, teeth-baring beast. Its massive size might also be an issue as it may inadvertently and unintentionally knock down a little one. However VetStreet claims that Bullmastiffs make excellent family pets. In order to cultivate a kid-friendly environment in the home, owners must train the dog at an early age to teach them to refrain from tugging on the leash or jumping on people. We know what you're thinking. "Australian Shepherds seem like furry balls of fun! How could it possibly be on this list?" Think about it this way. 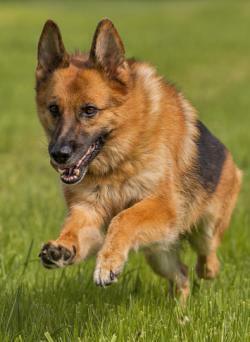 It's in the nature of these energetic and athletic canines to herd livestock. So without having sheep or cattle to bolt after, guess who they're going to pursue? That's right, your kids! In fact, their herding instinct can be so overwhelming, your Aussie might even be tempted to chase after cars and bikes, which can lead to some very unfortunate situations. But according to NorCal Aussie Rescue, disaster can be averted by erecting a fence around your yard and modifying your pup's behavior to stifle its impulse to charge after your little ones. 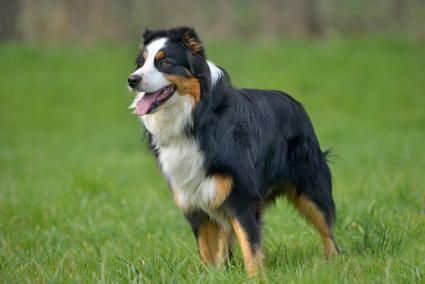 When training your dog not to herd, DogDemeanor suggests making sure that your Aussie's potential target doesn't yelp and run away since it will encourage the dog's behavior. And here's another tip: coach your Aussie to master the "come!" command. With this in place, you can simply beckon your Aussie back to safety. Don't let their size fool you! Sure Chihuahuas seem tiny and delicate with big, heartwarming round eyes, but they are feisty little dogs. Parents are often cautioned against the Chihuahua's temperament. This dog breed won't take kindly to your rambunctious kids running nearby and may misinterpret your children's poking and prodding as a threat. Chihuahuas are also fragile, so it's possible that your kids might inadvertently injure it. Chihuahuas are immensely loyal to a fault. They want their owners all to themselves and may growl jealously at anyone who seems intrusive-even your kids! This sweet but snappy breed is not recommended for families with children under the age of six. Yet ChihuahuaWardrobe would disagree. Children and Chihuahuas can co-exist as long as you show 'em who's boss! 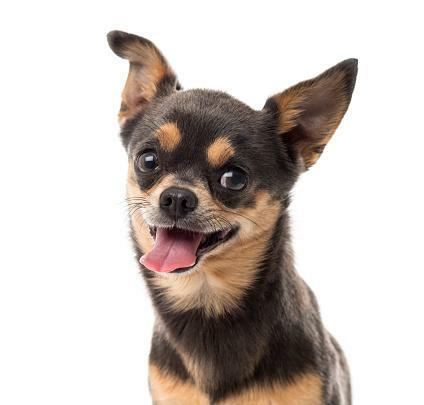 For example, owners are urged to discipline their Chihuahuas with a stern "no" if it bites-even if the motive is playful. Show your Chihuahua that it's acceptable to chew and bite on its toys, but not people. If it starts to exhibit aggressive behavior around your children, condition your pup to comprehend that being anything but gentle and well-behaved around your kids is not okay. You can't help but want to pet a Pekingese! Have you seen its luxurious, fluffy coat? While the Pekingese might make great foot warmers, they might not be the best companions for your kids. Your little ones will want to tug and pull on its eye-catching mane, but your Pekingese may not have the patience for it. They're also territorial over their personal space and possessions, and according to Pekinews, will not hesitate to bite toddlers who invade their domain. Additionally, it's notable to point out that, as per PetMD, Pekingese dogs may not be as playful as your kids would like them to be. 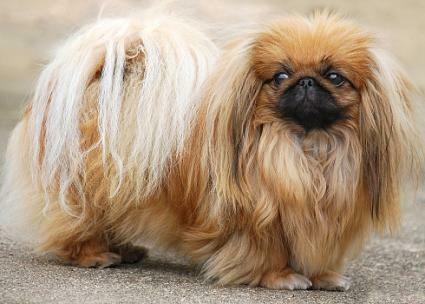 One more thing: the Pekingese are notoriously known to be difficult to train since they are quite stubborn. If you're adamant about mingling your Pekingese with your kids, PetBreeds advises prospective pet owners to make sure the puppy is habituated with pleasant experiences around children in order to promote a harmonious environment. The Doberman Pinscher is a handsome, muscular breed with a commanding presence, but some may warn against bringing this fierce guard dog into a home with children-even when they're puppies. Why is that? According to the Doberman Pinscher Club of America, Doberman puppies tend be snappy and parents will be inclined to isolate the dog from the child, which will take away from much-needed socialization. 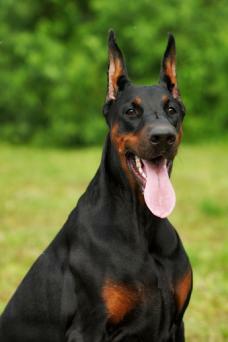 Others say that the Doberman suffers an unfair perception of a gnarling, sharp-toothed hound ready to rip you to shreds! Though earlier breeds were considered aggressive, Doberman enthusiasts say they're not as hostile as they once were. As long as owners establish themselves as the leader, there shouldn't be any issues. PetCareRx adds that parents should also teach their kids to not bother the dog when it's enjoying its alone time. The Doberman does not like to be disturbed and it will not react favorably once it has reached its boiling point. 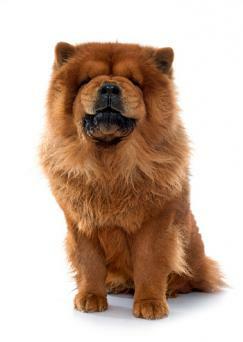 Chow Chows have a striking coat that would be the envy of any lion prowling the African Savanna. But this is not the only trait Chow Chows and lions have in common. When it comes to kids, some treat the Chow Chow like its wildcat doppelgänger: "Keep 'em away from your little ones!" Chow Chows are not very tolerant of rowdy, noisy children. If incensed, it might respond by nipping and snapping. Others say that these fluffy pups just need to be socialized between 3 and 18 weeks of age in order to be kid-friendly. Before allowing your Chow Chow to meet your baby, PetCareRx recommends allowing the dog to smell the baby's blanket and clothing first so that it won't be alarmed by the new bundle of joy in your arms. As with any dog breed, it would be unwise to leave your Chow Chow unsupervised with children under the age of six. Aah, the Siberian Husky! It's the quintessential sled dog with a spellbinding, wolflike appearance. But did you know that Huskies are third, tied with the American Bulldog, in being most responsible for dog-bite deaths from 1992 to 2010? While the image of Huskies portrayed by this report isn't pretty, others paint a more docile portrait of this working dog breed. According to For Dummies, Huskies are friendly, sociable, and companionable dogs. If there's one thing parents should be concerned about when it comes to this dog breed, it's allergens. For Dummies encourages prospective Husky owners to test their kids for allergic reactions to dander and dog hair since Huskies shed profusely. 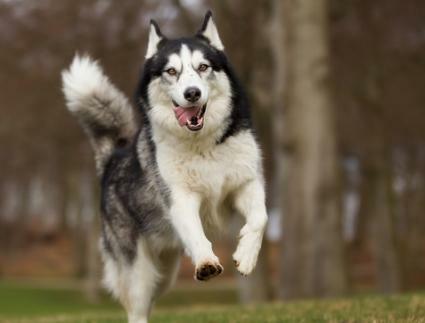 Huskies are also playful and need plenty of exercise, so if your family has couch potato tendencies, perhaps it's best to steer clear of this vigorous dog breed. You may think of German Shepherds as fierce police dogs, ferociously charging at law-breaking criminals, but can they make good family dogs? But to foster a kid-friendly environment with your German Shepherd, Canis Major suggests that you condition your German Shepherd puppy to be accustomed to being "handled." This includes fooling around with your puppy's tail, touching their feet, and playing with their food while they're eating. It is impossible to keep a razor-sharp eye on your tiny tot 100 percent of the time, so should your child commit any one of these offending actions, your German Shepherd will not react aggressively since it has been acclimated to tolerate such behavior. The consensus among many owners of contentious breeds is that proper conditioning and socialization will inhibit a gentle giant from morphing into a monstrous canine. But still, all parents should understand that no matter how seemingly docile a breed may be, no child should be left unsupervised around dogs.